Cape Site Services recently deployed the EMCI 4.50 rig on a former gas works site in Gainsborough as part of a wider site investigation survey. 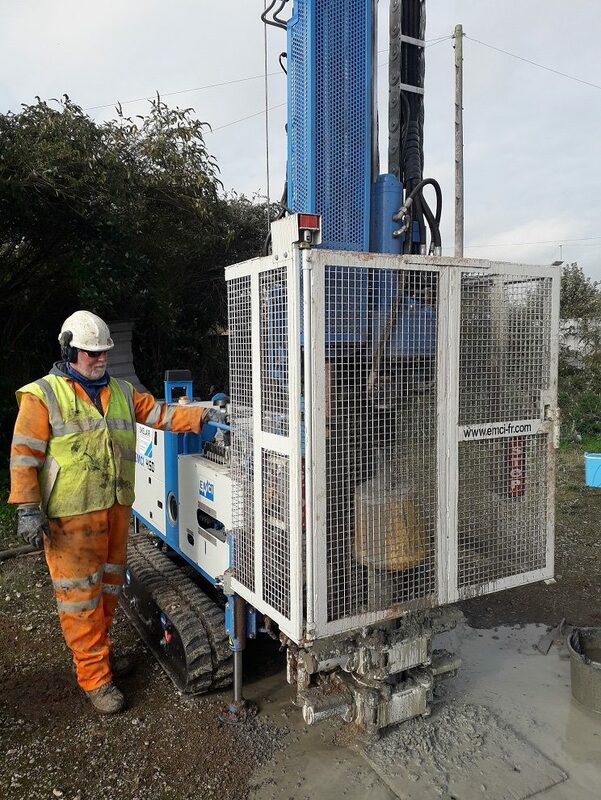 Hired from ground engineering and rock drilling specialist, Skelair, the rig gave Cape Site Services access to a small yet powerful machine capable of soil sampling, on a flexible term basis. Currently used as a car park, the suitability of the former gas works site for commercial development is currently being evaluated. Cape Site Services was commissioned by Geo2 Remediation Ltd to undertake soil sampling which required a rig that could be easily transported using an existing tail wagon. Seeking a versatile machine which would deliver the required power but be small enough for transportation, Cape Site Services approached Skelair for a solution. With an extensive hire fleet which provides access to a wide range of machines with varying sizes and performance, Skelair recommended the EMCI 4.50 – a machine which weighs just 2.78 tonne but delivers maximum rotation speed of 500 rpm. Simon Fish, Contracts Director, Cape Site Services, comments: “As we work on such a variety of drilling projects, we often rely on being able to rent the most suitable rig for a specific job. At Gainsborough, we needed to balance performance with being able to transport the machine to site ourselves. On-site with the EMCI 4.50 for three days, the machine needed to take undisturbed soil samples as well as undertake conventional coring. A total of six bores were drilled to a depth of 10m, each taking five samples. “While the strata was found to be too soft on-site for the planned coring, I felt more than confident that we had been equipped to complete this with the EMCI 4.50. This was the first time we had hired a machine from Skelair and the first time we have deployed the EMCI 4.50, but the service received was excellent – most notably matching the right machine to our specification,” continues Simon. The soil samples are now being tested to confirm how far contamination from the former gas works has penetrated the ground. To learn more about the rigs available to hire from the Skelair rental fleet, or machines available to purchase, please visit www.skelair.com. SKELAIR IS HIRING! Promotion for Catherine!